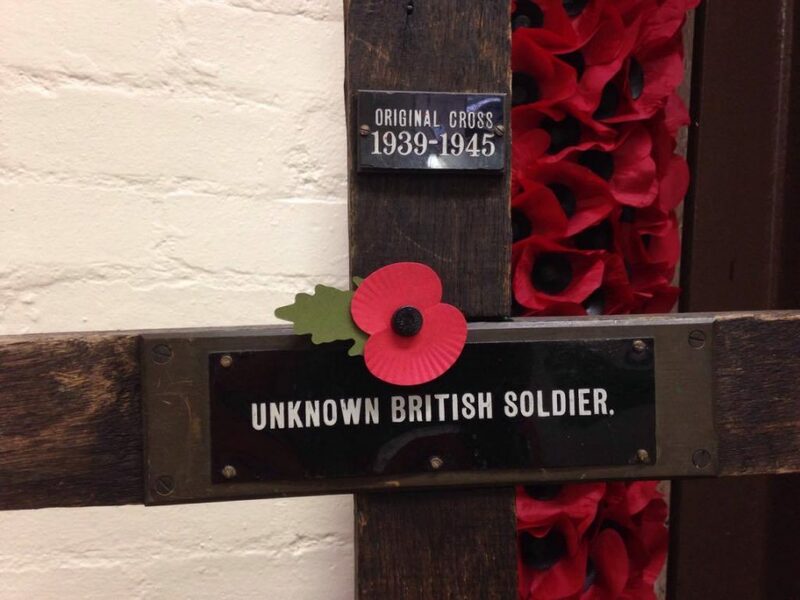 “The Poppy Factory is the country’s leading employment charity for veterans with health conditions or impairments. We work with businesses across the country to provide bespoke opportunities and ongoing employment support for hundreds of disabled veterans of all ages and from all Services, helping to restore their financial independence through sustainable and rewarding work. 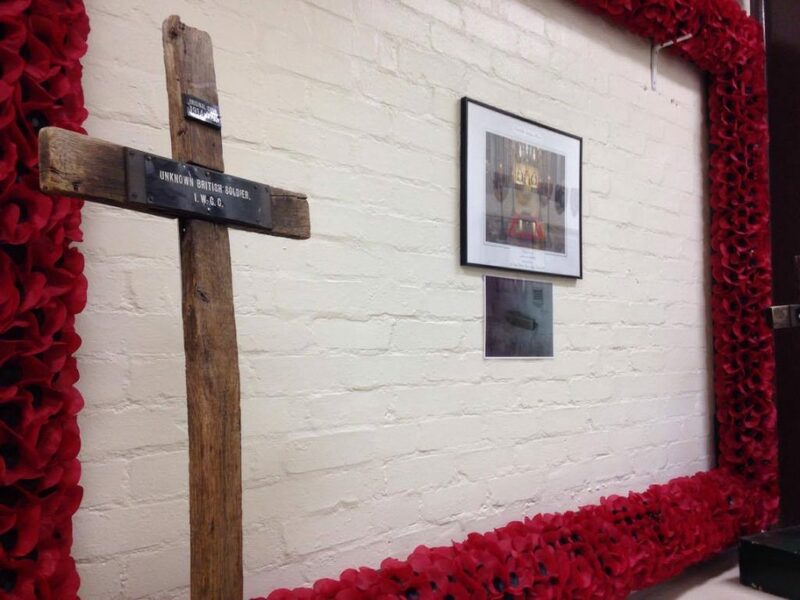 The Poppy Factory will arrange free tours, find out more here. Donations can be made here. 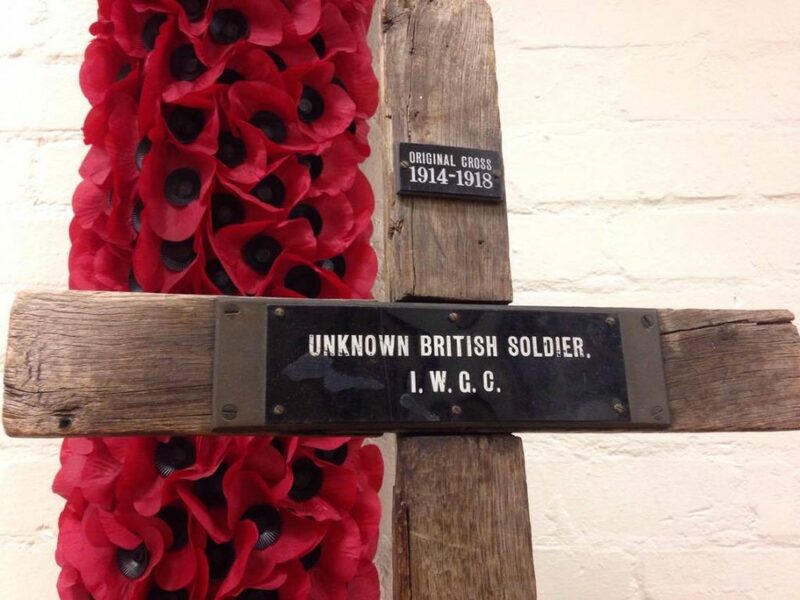 There are two crosses in the Poppy Factory, one from The Great War and one from the Second World War. Due to the nature of the building and the context these are provided as photographs instead of as a full report. 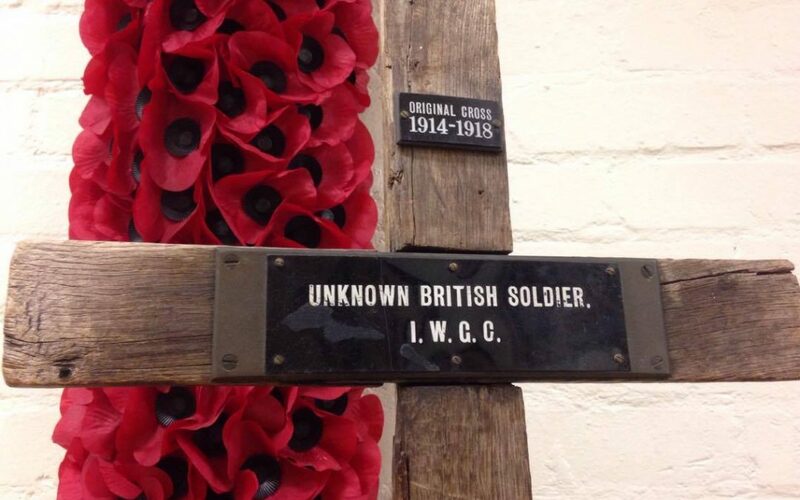 Both markers appear to be Standard British Army crosses. Both have what appear to be brass plates affixed with later bakelite or plastic plaques fixed over them. Photographs courtesy of Genevra Charsley.